30 Minutes, 6 Shades, 7 Days. 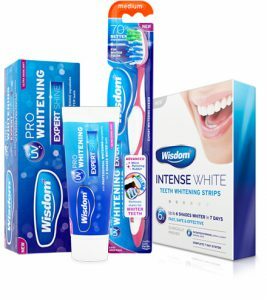 Wisdom are committed to helping everyone achieve a healthy smile so we have put together the perfect combination of products to make sure you keep your teeth white and healthy. All specially developed to safely whiten teeth. 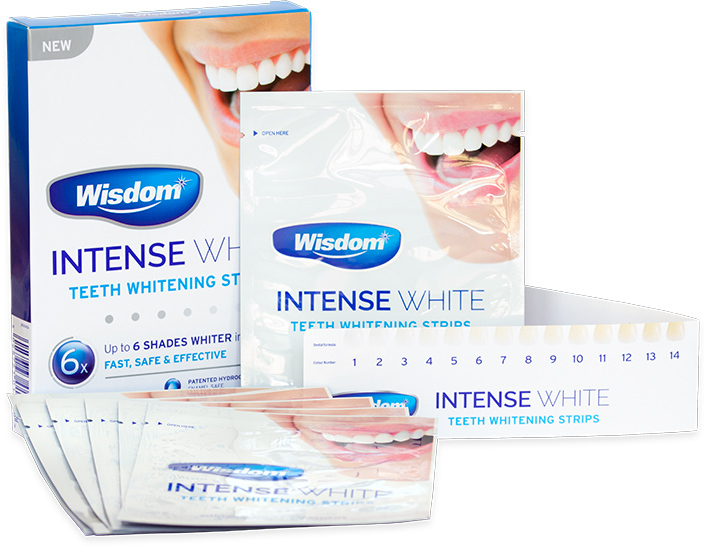 New Wisdom Intense White Teeth Whitening Strips have been specially developed to provide an intensive at home whitening treatment that is both fast and clinically proven to deliver up to 6 shades whiter teeth*. New Wisdom Intense White Teeth Whitening Strips have been specially developed to provide an intensive at home whitening treatment that is both fast and clinically proven to deliver up to 6 shades whiter teeth*. Use for only 30 minutes a day, for just 7 days for outstanding whitening results. The peroxide free formula is enamel safe and designed to effectively remove stains to whiten natural teeth. WARNINGS: For adult use only. Keep out of reach of children. Do not use if pregnant or breast feeding. 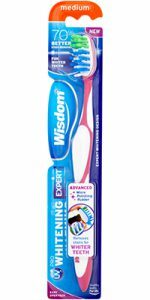 Not recommended for use by anyone with gum disease, gingivitis, bleeding or receding gums. For use on natural teeth only. Do not use when wearing dental braces. Stop using the strips immediately if any irritation or adverse reaction is experienced. Avoid contact with eyes, if this occurs rinse well with lukewarm water. Do not swallow the strip. Gel is not harmful if swallowed. Dispose of carefully after use. The ultimate whitening toothbrush. Designed to provide maximum plaque and stain removal to help keep teeth white. 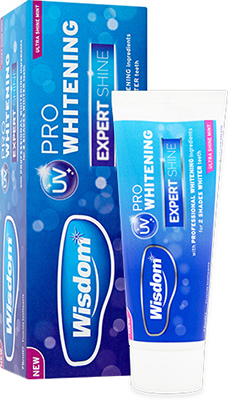 Wisdom Expert Shine toothpaste contains professional whitening ingredients to effectively remove and prevent stains. The advanced micro polishing formulation is gentle on enamel and safe for daily use. With fluoride to help prevent decay and a great mint flavour to freshen breath.